This is part two of the companion 'liner notes' page for the complete 1966 discography. Please click here for Part One... then join in the discussion and send us an email Thanks! 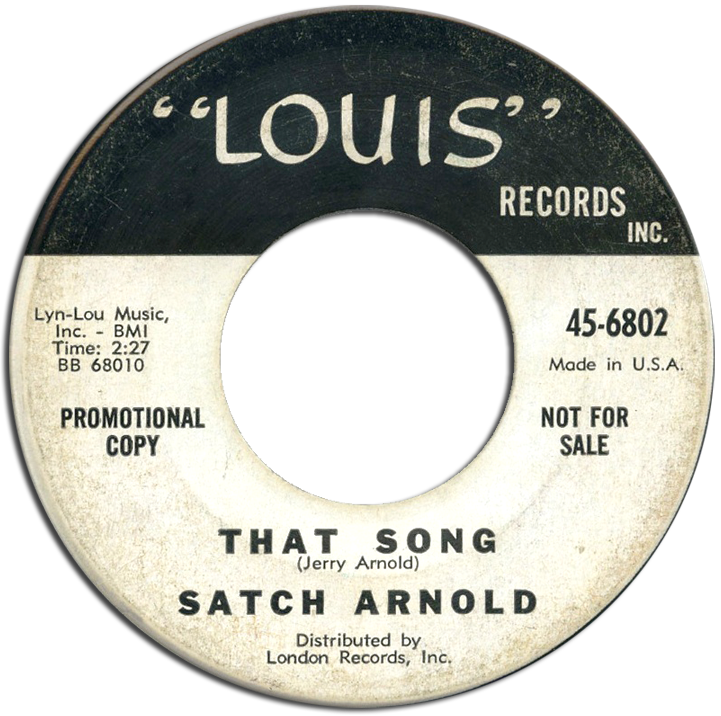 Satch and Chips first came together as members of Lloyd Arnold's Rockin' Drifters working the 'Drive-In Movie' circuit across the Mid-South in the mid-fifties. In the Summer of 1958, their friend Johnny Burnette was booked as an opening act for a big Johnny Cash concert at the Los Angeles Coliseum. With his Rock & Roll Trio disbanded by then, Johnny called home to Memphis and asked Chips and Satch to drive out and perform with him at the show. While they were basically living in his garage, Chips and Satch worked out some guitar and drum licks for Johnny's next studio session, resulting in I'm Restless, a record which Billboard described as having a 'gimmicked' sound at the time. 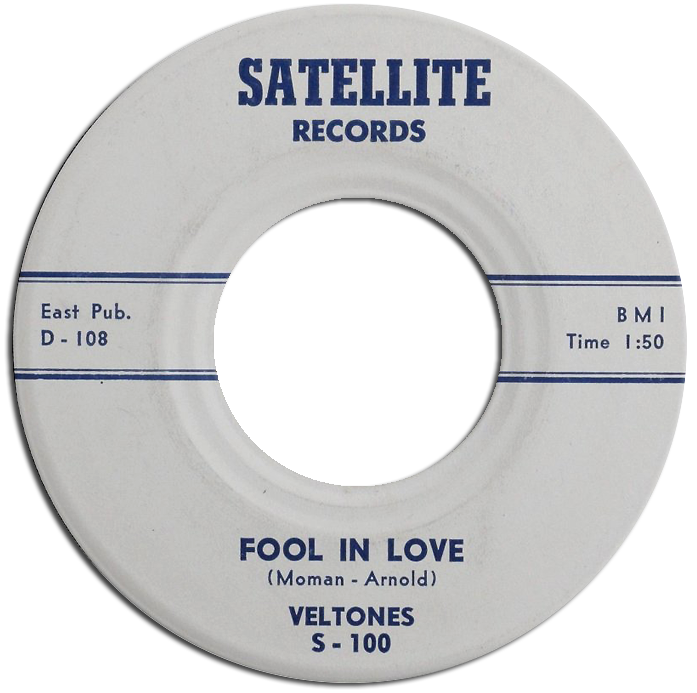 Returning home to Memphis, they would cut the first ever R&B record on Satellite on a vocal group called The Veltones, Fool In Love, using those exact same licks (only this time they made sure they got the songwriting credit). 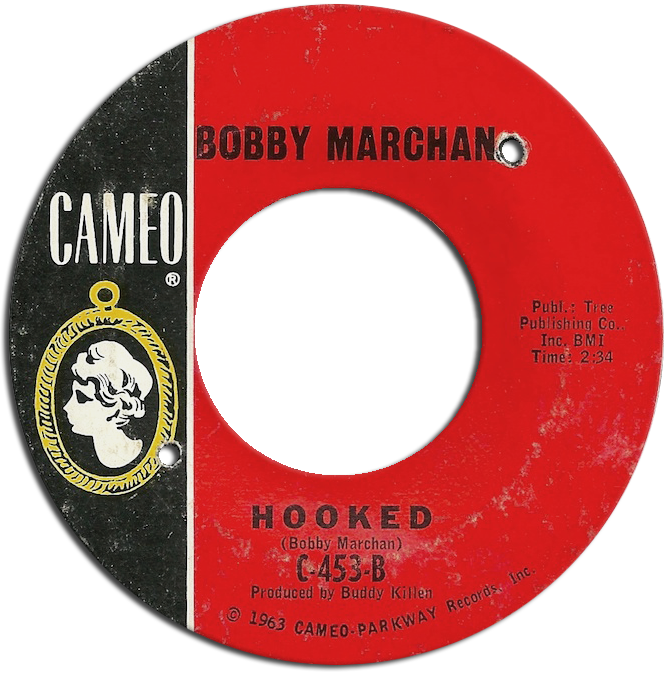 Gimmicked or not, the song was picked up for national distribution by Mercury and earned two stars in Billboard in late 1959. This is the record that the entire Stax legacy was built on. By the time the Veltones single was released, Satch had become (along with Reggie) a founding member of Bill Black's Combo whose own blockbuster debut hit, Smokie - Pt 2 was climbing the charts. He had been there with Chips Moman at Satellite, been there with Scotty Moore at Fernwood, and would now become the Hi Records session drummer for the next decade. 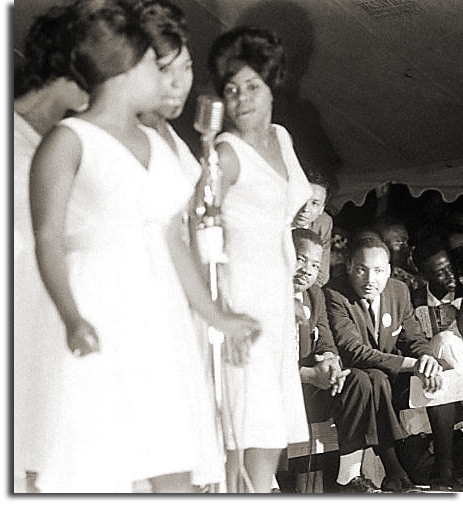 It's hard to imagine a more pivotal and influential musician in the development of The Sound of Memphis. 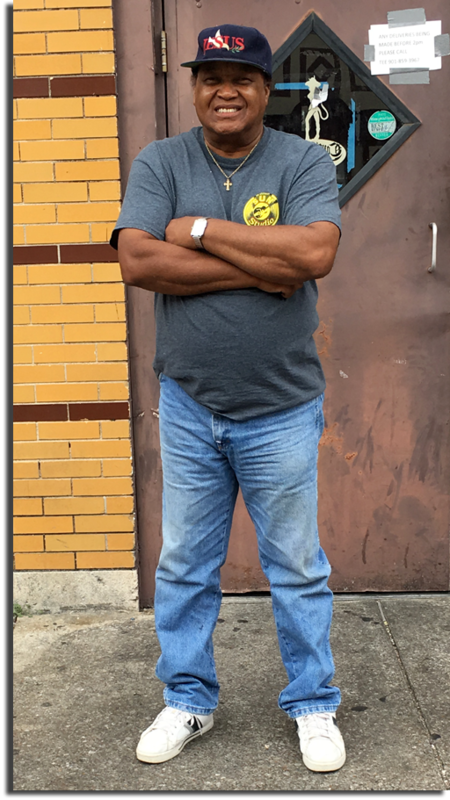 We needed to meet this man, and decided to set out and find him during the ARSC sponsored 2017 Soul Detective Road Trip and Fact Finding Mission. Once Reggie supplied us with his phone number, we found him pretty much right where he'd always been, running his TV and Electronics shop there in downtown Memphis. Satch graciously agreed to speak with us, and granted John Broven and I a taped interview with him that lasted well over an hour last October. It was the first time anyone had asked, he said. 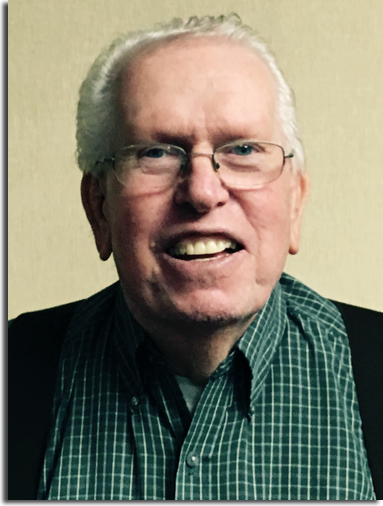 We were shocked to learn that Jerry passed away suddenly this past May after a short hospital stay. I am so thankful we got to hear his story. Chips Moman, meanwhile, had gone on to cut some of the greatest records ever made at Stax before the whole thing blew up in his face in the Summer of 1962. He then gravitated to Nashville, where he would do some session work for Buddy Killen, before hiring a lawyer to sue Stax for some kind of settlement. The money he received wasn't much, but he would partner with that lawyer, Sy Rosenberg, to open his American Sound Studio and create the Youngstown label. After a few releases that went nowhere, a B side he cut on a local boy band went positively viral when MGM got behind it in the Fall of 1965, going all he way to #4 on the Hot 100. Chips has been quoted as saying that "the record was so bad, I mixed it with the sound off!" and after a hastily put together album that was just as bad, apparently decided to up the game a little. 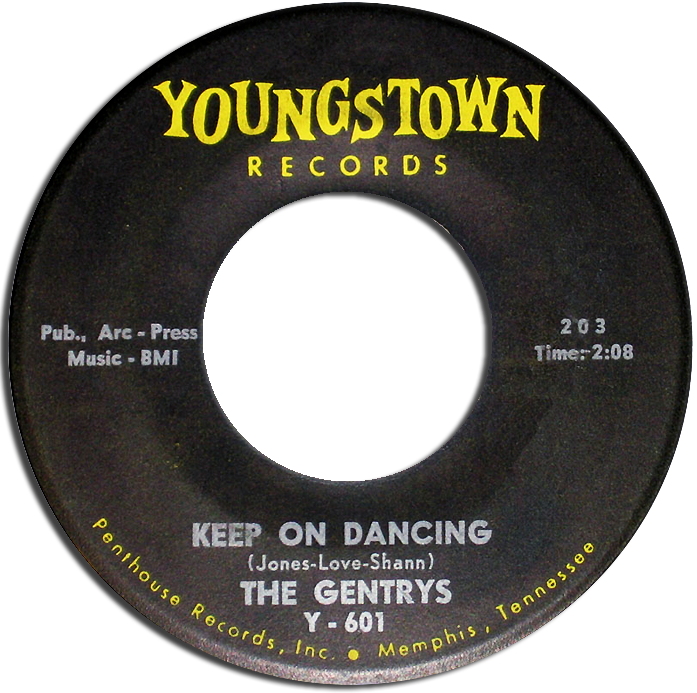 He brought in Larry Butler, a keyboard player who had also been doing session work for Killen in Nashville, as the latest member of The Gentrys and began work on a second LP, Gentry Time. According to Reggie's session books (remember those? ), Chips had MGM book Royal studio for three days in January of 1966 to cut the album. The single released from those sessions, Everyday I Have To Cry, crawled to #77 that Spring. Such a great song, it was written by Arthur Alexander and first recorded by teen hearthrob Steve Alaimo in Nashville in 1963. I'm not sure what Moman's connection to it might have been, but he would go on to cut it on several others, most notably (for me anyway) on Sir Lattimore Brown. As we saw in Part One, Butler would return to Royal several times that year for sessions on both Willie Mitchell and Bill Black's Combo. He and Moman, of course, would later win the Grammy for writing the 1975 Country Song of the Year, on their way to becoming legendary Nashville producers in their own right. Beginning that May, Chips began hiring Reggie for session work at American and made sure he was paid more than he was making at Hi. As we've discussed in Case Eight, Chips had been using Clarence Nelson as the guitarist at American and, thanks to our friend Darryl Carter (who also passed away on us suddenly in the past year, may God Rest His Soul! ), we know he appears on at least one 1965 Youngstown release. According to Reggie, when he first got to American, Chips told him "Just play like Clarence," and now, thanks to the entry for May 22nd in the books above, I think we've identified exactly when that was. Nothing appears to be known about the Modern Soul Trio (like whether or not they were from Atlanta), but this great version of Sam Cooke's That's Where It's At, featuring those soulful vocal group harmonies, fits as the record cut at American that day. Reggie has confirmed that it is indeed him playing guitar on here, doing an excellent job of 'playing like Clarence', elements of which he would incorporate into his style from that day forward. How cool is that? Chips would bring Reggie in the following month for Roosevelt Grier's first trip to American as well. In addition to playing Football, Rosie had also been cutting records since way back in 1960. 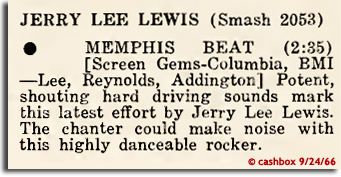 I'm not sure how he found his way to Memphis, but High Society Woman (not released until early 1967 on Youngstown 609) has Reggie all over it. 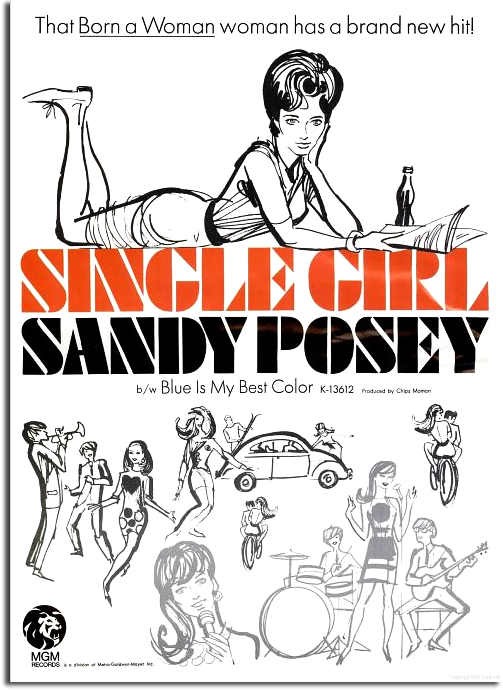 In Roben Jones' The Memphis Boys, she tells the story of how Chips would record his next big hit for MGM, Sandy Posey's Born A Woman at Hi rather than American because of their multi-track capability. 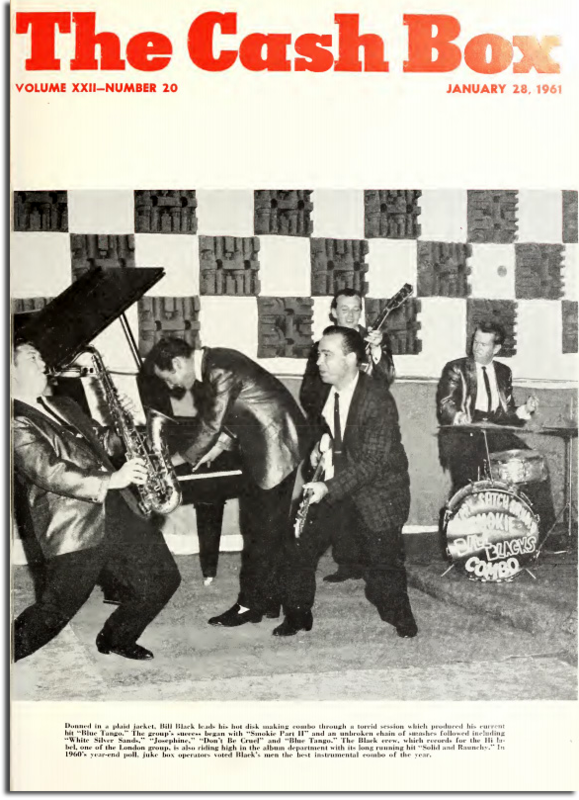 For whatever reason, it features Scotty Moore and Tommy Cogbill on guitar, and not Reggie (possibly because he was out on the road with Ace Cannon at the time). 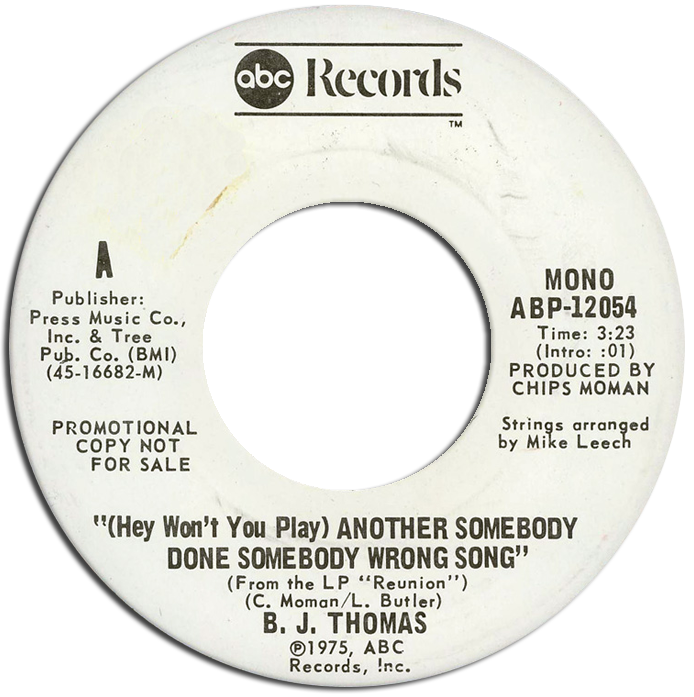 Engineered by Moman (and not Ray Harris), the tune had a unique sound that would just miss the top ten that Summer. MGM, of course, wanted a follow-up hit and had Chips bring Sandy to Nashville to record it. This time Moman made sure he had the guitar player he wanted, bringing Reggie with him to Music City for no less than seven Sandy Posey sessions in 1966. When Single Girl was released that November, it was as big a hit as its predecessor, climbing to #12 on the Billboard Pop Charts. As fate would have it, it was Chips' involvement with MGM that would help create Soul Music history soon thereafter. 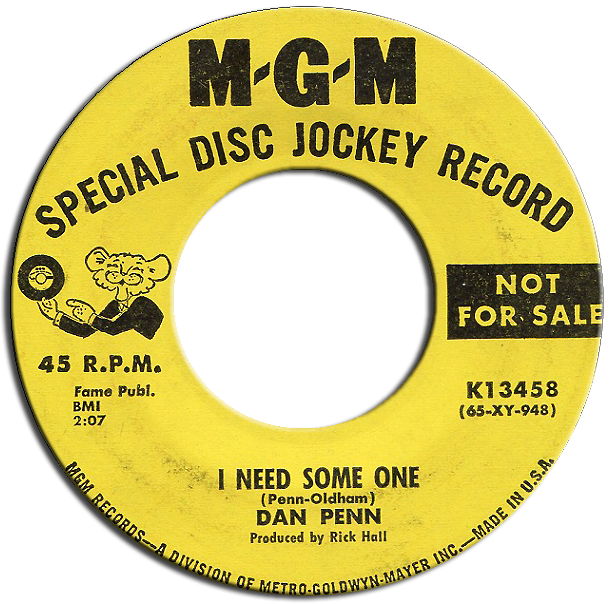 It was on one of those trips to Nashville that MGM producer Jim Vienneau introduced him to the like-minded Dan Penn, then an MGM artist and songwriter. 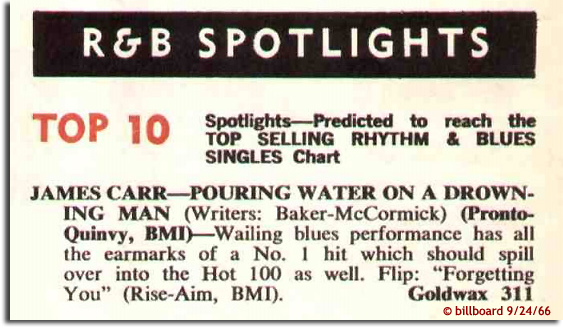 While it certainly appears possible that those four tracks may have been released as both sides of Carr's next two Goldwax singles (309 & 311), perhaps the most likely candidate among them is the song Billboard picked to go #1 R&B that September, Pouring Water On A Drowning Man. 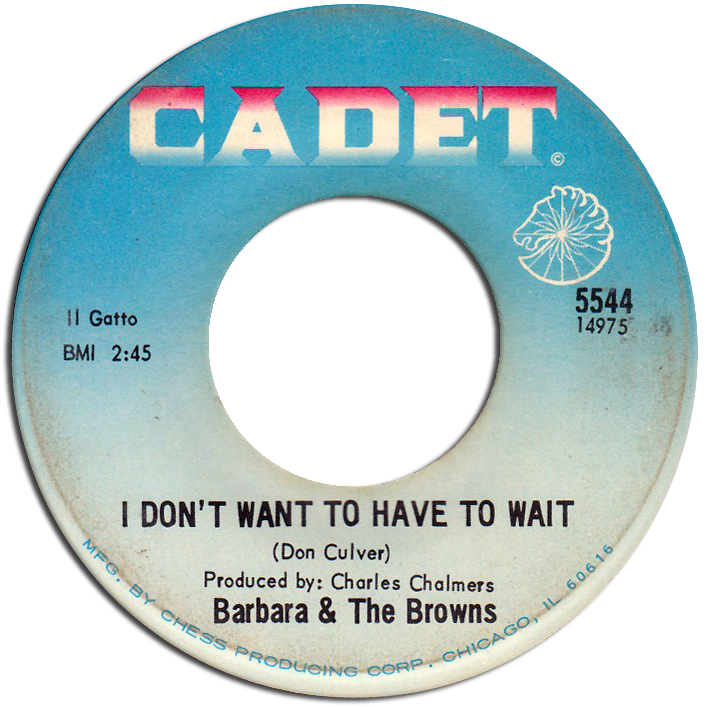 Although it would only actually make it to #23, it remains one of the timeless classics of Memphis Soul. That stinging guitar mixed way up front sure sounds like Reggie 'playing like Clarence' to me! Be that as it may, Soul History would be made a week later, however, at the annual WSM Disc Jockey Convention in Nashville, an event which drew 'record men' from across the South. Papa Don Schroeder was there, Quinton Claunch was there and so were (by then) fast friends Chips Moman and Dan Penn, all staying in the same hotel. The way the story goes is that, in the midst of a poker game with Papa Don, an idea that Dan and Chips had been tossing around for months finally came to fruition. They had been talking about writing the 'greatest cheating song of all time', and all of a sudden there it was, staring them in the face. They needed a quiet place to work on it, and Quinton let them use his room with the stipulation that when they were finished they would let him cut it on James Carr. It only took them about a half an hour, but the song they created that day will live on forever. When Quinton Claunch heard it, he told Roben Jones, "it just knocked me out!" Once he got back to Memphis, he wasted no time taking Chips up on his promise to let James Carr record it, booking a session on Thanksgiving weekend. 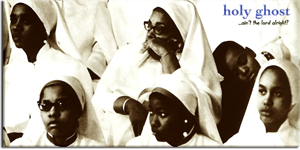 There are those who say that The Dark End Of The Street is the best Soul record ever made... I am one of them. Just an absolute classic, it never fails to hit home with me. From Reggie's first shimmering chord, to those warm notes he plays with the fat end of the pick while James pleads "They're gonna find us!" - it still gives me chills every time I hear it. A lot has been written about this session, but please allow me to clear up a couple of popular misconceptions. First off, Chips didn't decide to cut it at Hi at the last minute because of equipment trouble at American. I believe he planned on it all along. Just as he had done with Born A Woman, Chips wanted to engineer this monumental song on their multi-track machine. Secondly, he didn't bring his American studio musicians with him to the session, because they were already there at Hi... Reggie, Tommy Cogbill, Bobby Emmons and Mike Leech (yet another friend who passed away on us suddenly in the past year, May God Rest His Soul) wouldn't make the final decision to join Chips full time for another five months. There, I've said it. 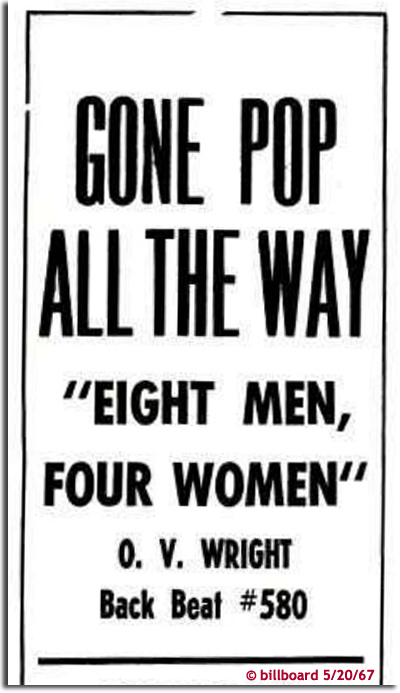 You know as a fan of this music all these years, one of the most astonishing revelations I've found in Reggie's books is that the day after they cut James Carr's iconic masterpiece above, Don Robey brought O.V. Wright to the studio. The sessions they held there at Royal over the next three days were, in my opinion, equally as historic. 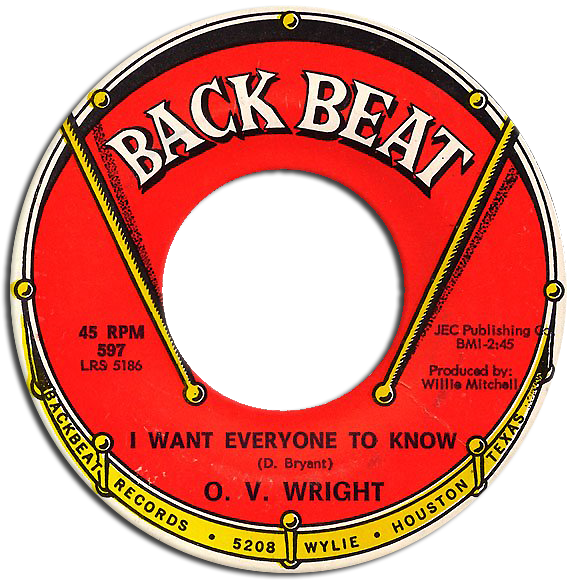 They were the first for an outside label to credit Willie Mitchell as producer, and perhaps offered a glimpse at what Hi Records would become in the future, as the Bill Black's Combo era drew to a close. 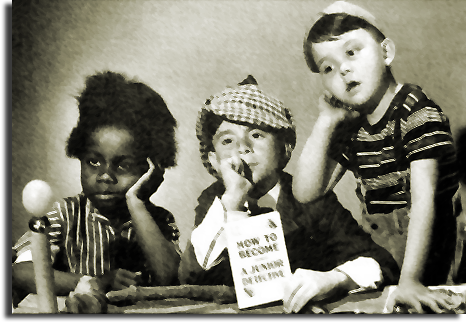 When we were negotiating with Teenie Hodges to hire Hi Rhythm for the O.V. Wright benefit show, he told us the story of how Willie brought him in as a nervous 20 year old to play alongside Reggie Young on O.V. 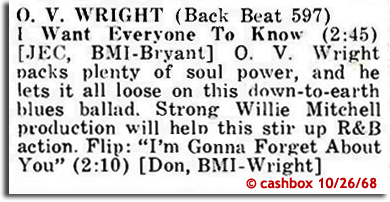 's #4 R&B hit, Eight Men, Four Women (which, despite Robey's optimistic claim at right, only made it to #60 on the Cashbox Top 100). As a guitar player, he totally idolized Reggie, he said, so much so that he would later name his first born son, Reginald, after him! No doubt cut during those three days that November, this timeless dream sequence of a song represents the passing of the guitar torch at Hi from Reggie to Teenie. Incredible stuff, boys and girls!. 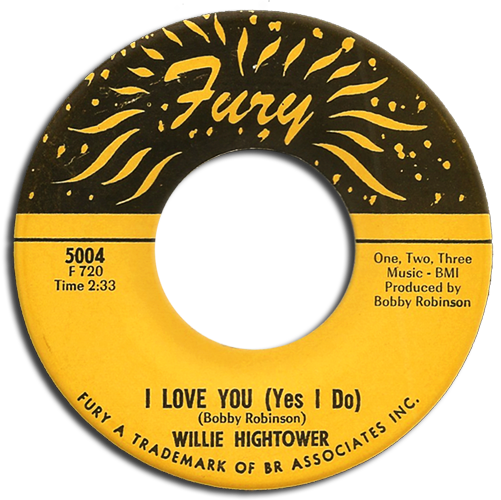 On November 24th, Bobby Robinson once again brought our man Willie Hightower to the studio and cut this great record for his own Fury label. I Love You (Yes I Do), driven by some great Reggie guitar, just cooks along and once again you can hear both an organ and a piano in the mix. 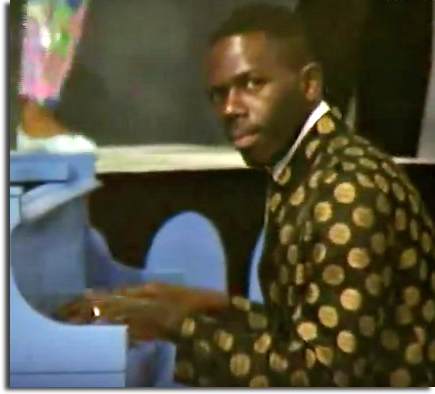 According to Reggie, Joe Hall was the original keyboard player in Bill Black's Combo, but ended up walking out because of Ray Harris' overt racism. As we saw in Part One, Joe was playing piano in Willie's road band in 1966, and I have no doubt that Mitchell would have brought him to Hi for those O.V. sessions, now just four days away... I would be so bold as to postulate that Hall also played that killer piano on the record cut the day before O.V. got there - the one we've already established is the king of them all, The Dark End Of The Street, except for the fact that Bobby Emmons told Roben Jones that he "...overdubbed acoustic piano fills from the second verse out." Oh Well. 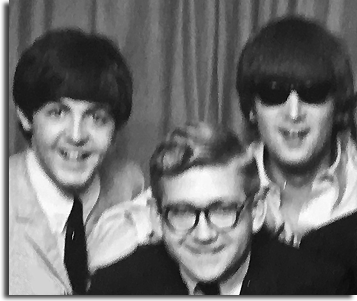 Sammy Creason (pictured at left with a couple of other guys you might recognize) was the drummer for Bob Tucker's road version of Bill Black's Combo that Reggie re-joined to tour with The Beatles in 1964 (got that?). By mid-1966, for unknown reasons, he seems to have just about replaced Satch Arnold as the go-to session drummer at Hi. 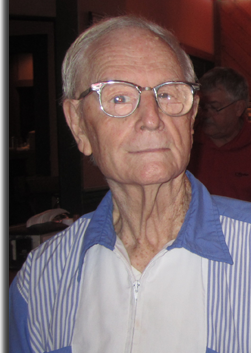 Gene Chrisman, who was then still working with Stan Kesler at Sun, told Roben Jones "I did not play on Dark End Of The Street." I'd say it's pretty much a lock then that Creason did. Sammy would go on to work with Larry Rogers at Lyn-Lou before becoming one of Jerry Wexler's Dixie Flyers and forging his own career later on in Nashville... but what about those O.V. sessions? 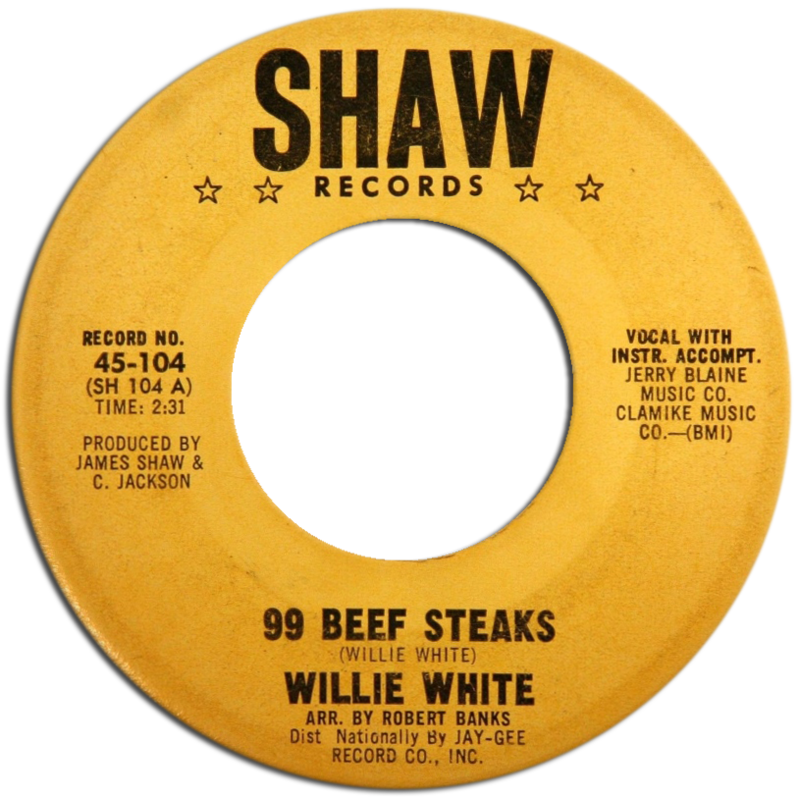 Both Reggie and Satch told me that Willie brought Al Jackson, Jr. in to play on 20-75 and several other records but, by 1966, anchoring the Stax Hit Parade had become a full time job. "Willie had another drummer after Al Jackson went with Booker T. and the MGs, Jeff Greer," Charles Hodges told Joe Boone, "Willie wanted to change the drummer, so Teenie told him about Howard Grimes." According to my man Howard (who at 77 years old remains a walking history lesson), it was fellow Bo-Key Hubbie Turner (a member of O.V. 's road band at the time) who saw him playing at Curry's Tropicana Club, and recommended him to Willie. Bingo! 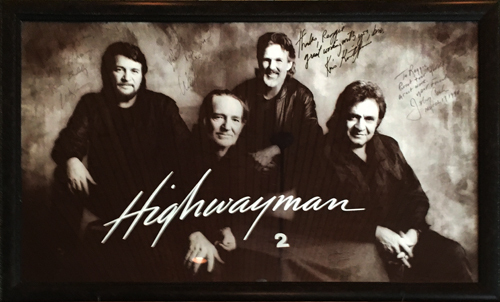 I called Howard and he confirmed that his first session at Hi was for Eight Men, Four Women but, after all these years, he didn't recall cutting any other tracks. 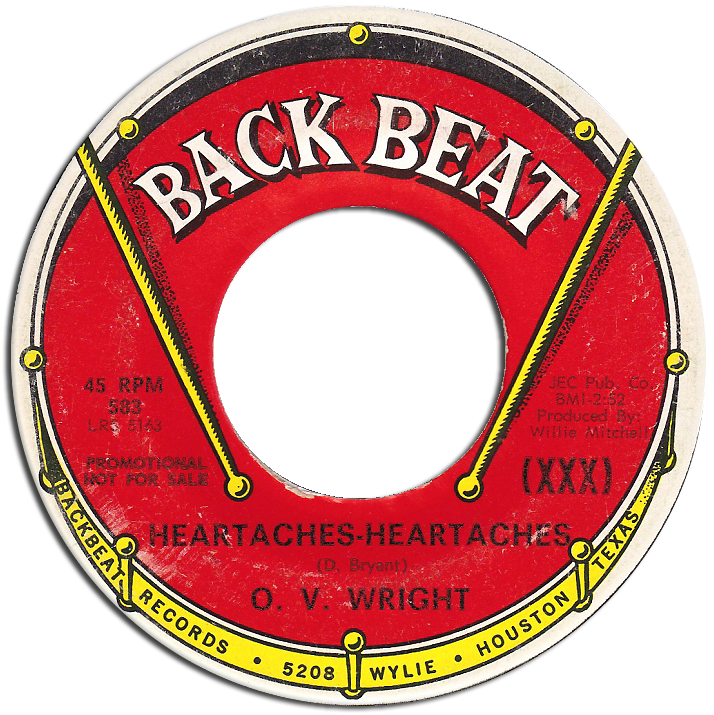 This other great Don Bryant composition from those sessions, Heartaches, Heartaches has the drums mixed right up front (along with Reggie's crystalline guitar licks), and after listening to both O.V. singles, Howard agreed with me that it was indeed him on the drums... How cool is that? Reggie recorded at Sam Phiilips Recording Service on Madison Avenue some THIRTY ONE times in 1966, and was the guitarist of choice when Phillips decided to 'reactivate' his Sun label. 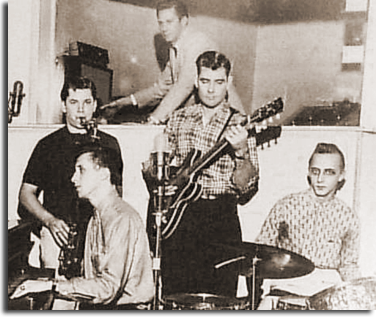 Sam's son, Knox Phillips, had begun to take a more active role in the company by then and, according to the comprehensive 706 Union Avenue pages, put together this rhythm section for a session held there on November 26th - Reggie on guitar, Mike Leech on bass, Gene Chrisman on drums and Bobby Wood on piano. Sound familiar? 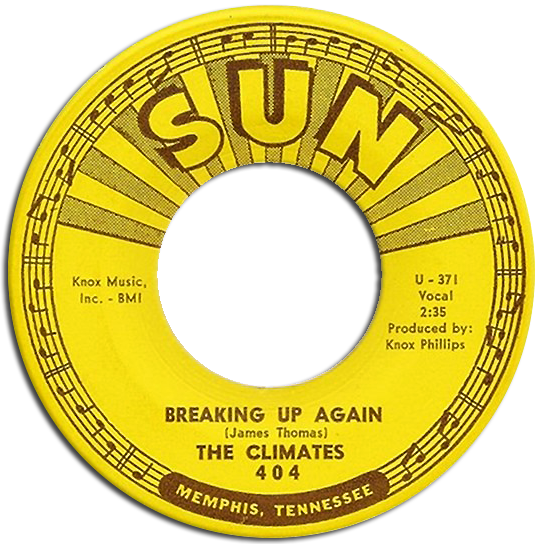 Despite the optimistic claims of the front page Billboard article above, neither of the singles Sun released from those sessions in early 1967 made the charts. 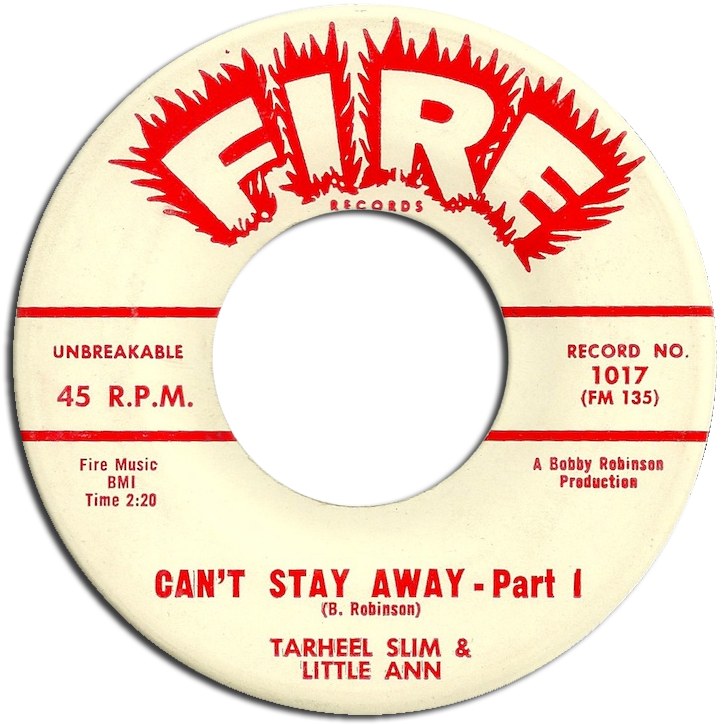 The Dane Stinit record, That Muddy Ole River (written by Hi stalwart Gene Simmons), is pure Johnny Cash, with Reggie's future Nashville Country picking style already well developed. Sounding for all the world like a Chicago Soul record, the other 45 Billboard mentions is just da bomb, and if it was indeed one of those 'R&B tunes' referenced in the session books above, it's interesting to hear a little bit of the guitar style Reggie would play on 'The Dark End Of The Street' the very next day at Hi. The bouncy horn lines on here were arranged by the great Charles Chalmers. While still in High School, Chalmers had been playing gigs in and around Memphis with folks like Ace Cannon and Bill Justis. When he was nineteen, he set out on the road with Jerry Lee Lewis, along with another kid that had graduated with him, drummer Gene Chrisman. The way the story goes, they heard Bobby Wood's band knocking 'em dead one night at The Starlight Supper Club in North Memphis, and quit Jerry Lee right there and then to join Bobby's band. 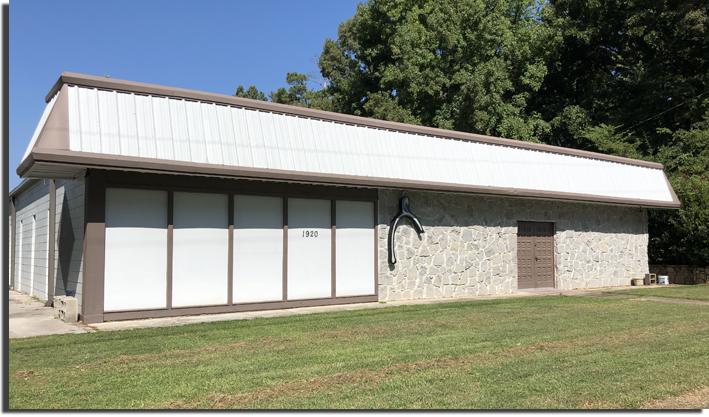 They would get in on the ground floor with Stan Kesler when he opened his Echo Studio in 1960, and made the move with him to Sun when he closed its doors a couple of years later. 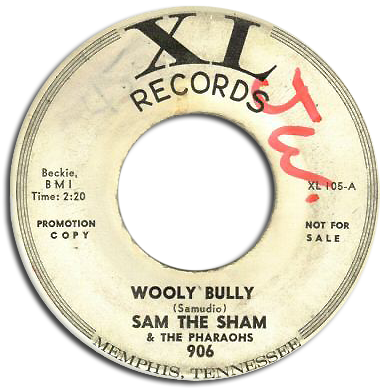 By then, Chalmers had become a partner (along with Eugene Lucchesi and Paul Bomarito) in Kesler's XL production company but, after a disagreement about the royalties from their 1965 MGM mega-hit Wooly Bully, he decided to head out on his own. It was Sam Phillips himself who believed in Charlie enough to offer him his own office space for his independent productions if he would stay with him there on Madison Avenue. In 1966, Charlie began recording 'whoever came through the door' and leasing his productions to local labels. 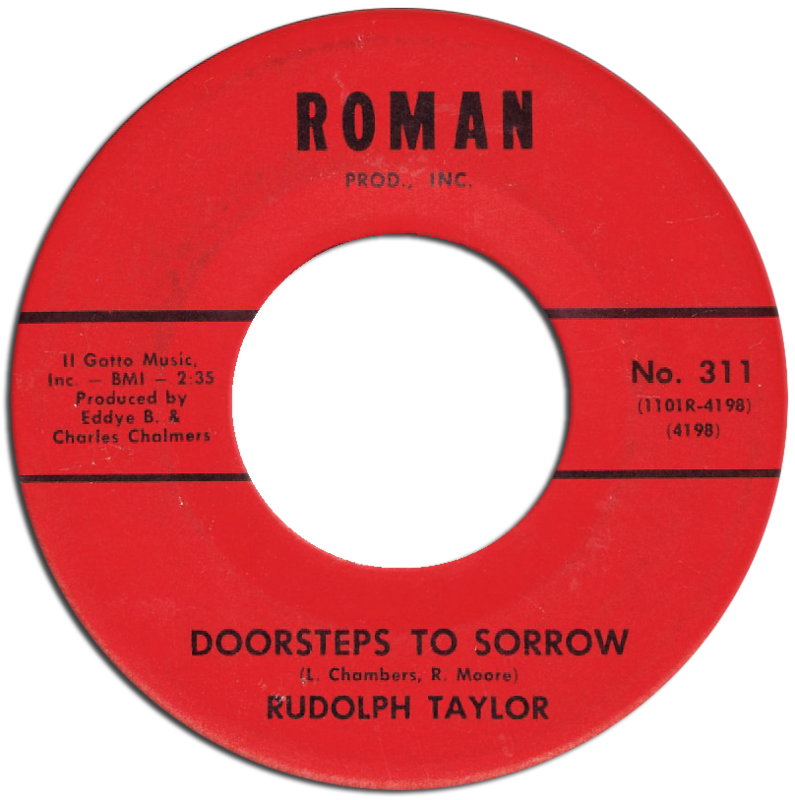 Not much appears to be known about Rudolph Taylor, except for the great write-up by Sir Shambling who calls this one a Deep Soul Winner: "The band includes several of the AGP crew like drummer Gene Chrisman, bassist Tommy Cogbill and Reggie Young on guitar... Young's fills are simply wonderful." Indeed they are, and Chalmers told me both Reggie and Cogbill were his 'first call' musicians, in addition to his former bandmates Wood and Chrisman, further solidifying the core of what would soon become Moman's American Group. 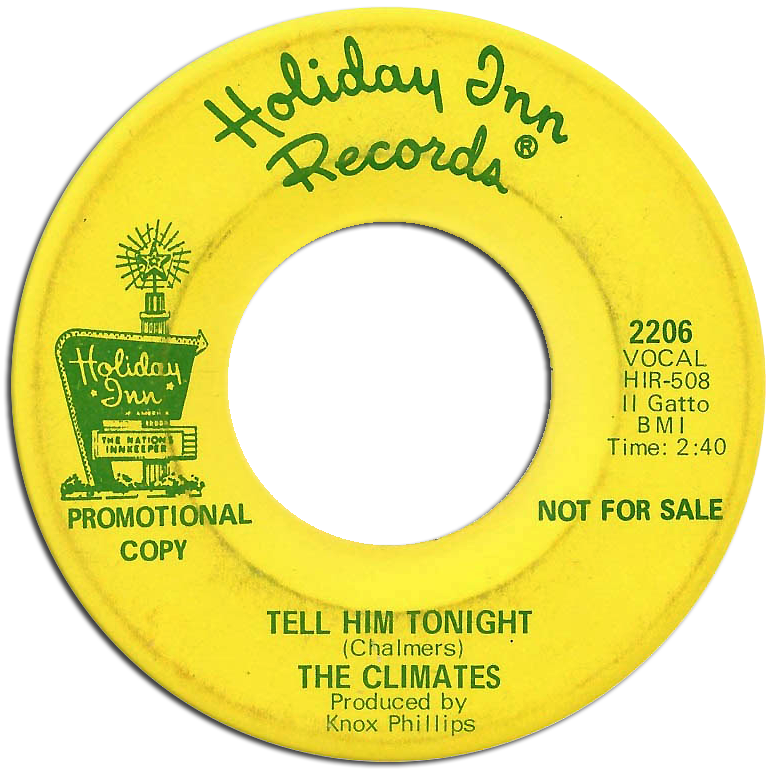 Chalmers had an ear for a good song, and when he heard this one (written by Don Culver, the keyboard player for Lou Roberts), he flipped over it. 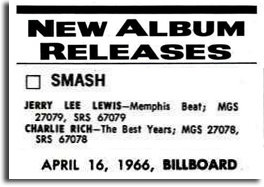 After he cut it on Barbara & The Browns (using the future Memphis Boys line-up once again), Chess Records Southern A&R man Max Cooperstein loved it as well, and was instrumental in getting it released on their Cadet subsidiary that September. Given a 'B' by Cashbox, Papa Don would cut an even better version of this song on James & Bobby Purify at American a year later with the same crew. In addition to being a great sax player and producer, Chalmers was also a hell of a songwriter. He had cut this one on both Rudolph Taylor and William Bollinger, before Knox Phillips cut it on The Climates, presumably at the same session outlined above. Not issued until 1968, I have no clue why it was released on Holiday Inn and not Sun, but it's got Reggie all over it. 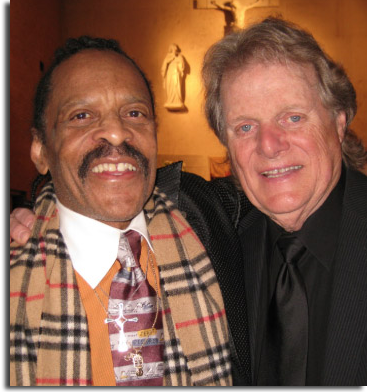 Chalmers, of course, would go on to work with Willie Mitchell at Hi in the seventies anchoring the great Rhodes, Chalmers & Rhodes, before opening his own studio in Branson, Missouri. In addition to Bobby Robinson, there was another New York producer who came to the Bluff City to record in 1966, one Jimmy Shaw. 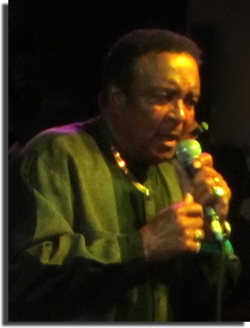 Shaw grew up in Memphis, but had begun making a name for himself as a songwriter and arranger in the crowded Broadway music scene of the early sixties. 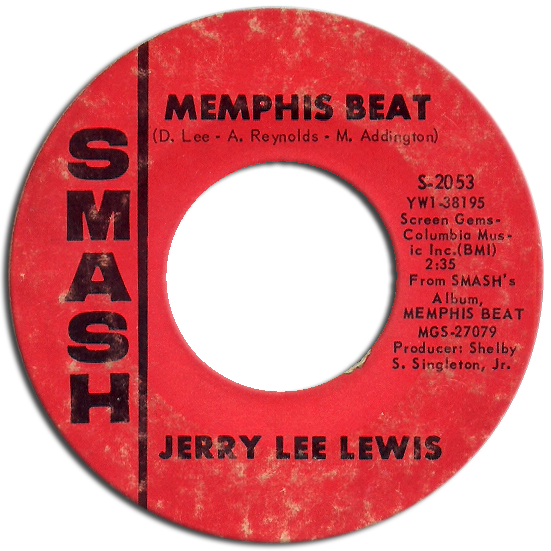 By 1965, he was running his own label as an outlet for his productions, which was distributed by Jay-Gee, the parent company of Jubilee Records. CF: "...when I walked out of the theatre [The Apollo] I ran right into Jimmy Shaw - he knew me when I didn't know him. He said 'Carol Fran! Lord... I've wanted to record you so bad.' I said 'When?' he said 'Now!' I said 'Let's go'... We went to Memphis at Hi Studios, that's where we did the recording with Willie Mitchell. We used some local musicians there... and some members from The Bill Black Combo." CF: "Yes - I couldn't think of his name yesterday... and then we used Fred Ford." JB: "And the drummer, was that Howard Grimes or was that a White boy?" CF: "I think he was Black, the drummer was Black..."
Here's the great record Shaw produced on Carol at Royal on December 8th, featuring (as we now know - thank you, John!) Howard Grimes on the drum kit, along with some great Bobby Emmons organ. 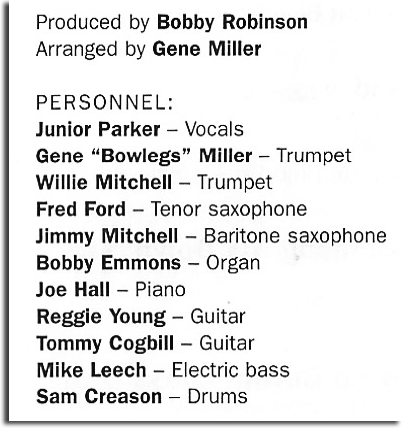 Reggie also pencilled in "Bo" on this entry, which would indicate (I believe) that Bowlegs Miller was the arranger on this session, as he had been for the sides Shaw produced on Little Buster in February. 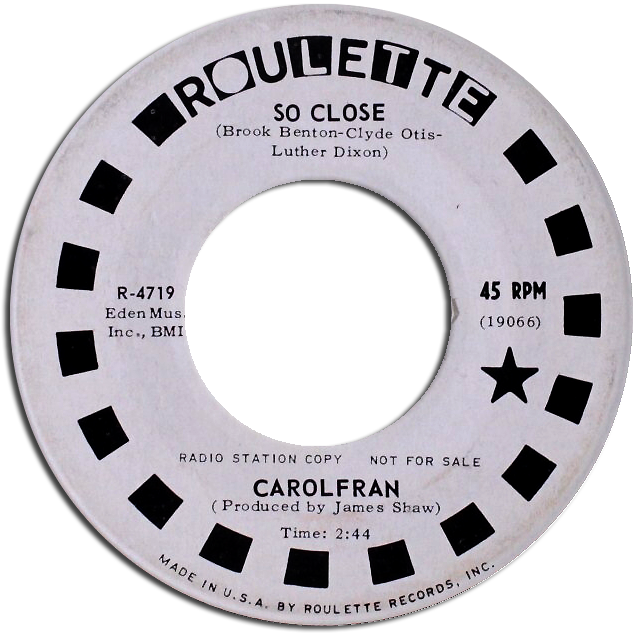 A cover of a 1959 Brook Benton top 5 R&B hit, I'm not sure how it wound up on Morris Levy's Roulette label, and not Jubilee... but hey, maybe we don't want to know! The day before they cut that 45, Reggie had travelled to Columbia's studio on Music Row in Nashville for a session with producer Buddy Killen on the inimitable Bobby Marchan. On Meet Me In Church, you can hear Young developing the riffs he would later use on Solomon Burke's version. 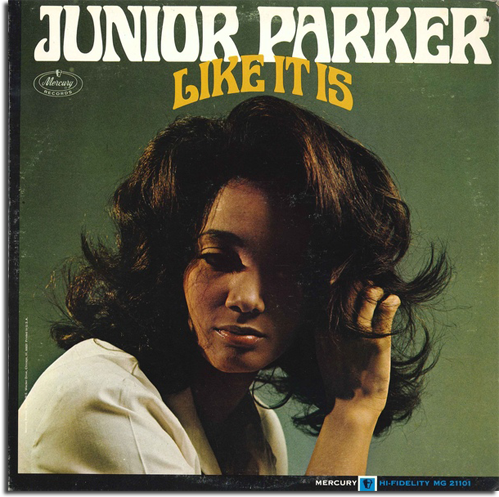 This smoking B Side (featuring some more of that 'Memphis Underground' rhythm guitar) just rocks da house, and helped to make Reggie Killen's go-to guitarist from that moment on. Now, how about some Rock & Roll? 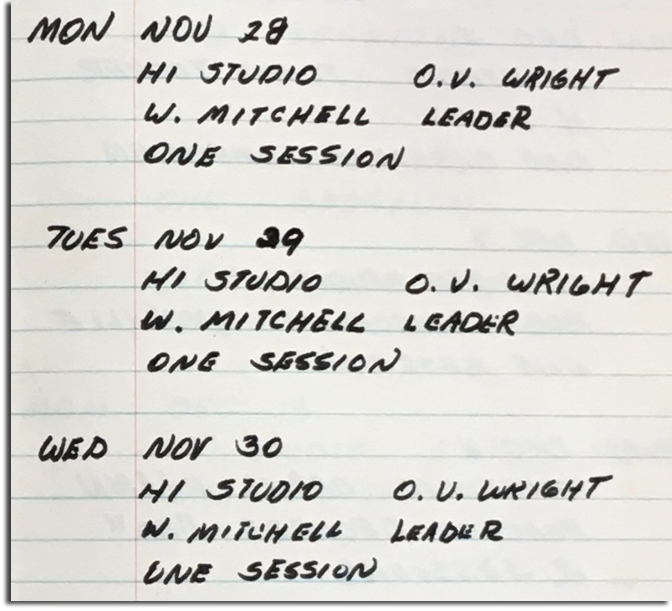 "As Reggie has it noted in his logs, the session took place on July 2nd, 1966... but I don't have Reggie as listed. 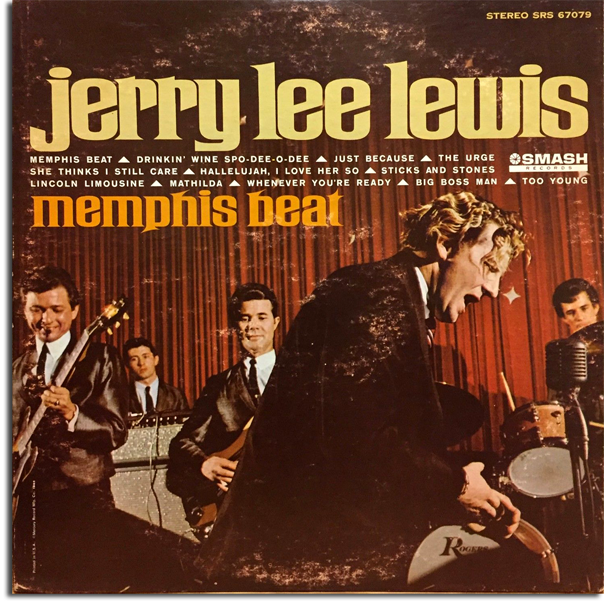 The sessions were part of the 'Memphis Beat Album Project' originally started in January" The guitarist for those sessions had always been listed as (future Dixie Flyer) Charlie Freeman, but we both agreed that Reggie wouldn't have written it down in the books (and noted the fact that he got paid!) unless it happened that way. 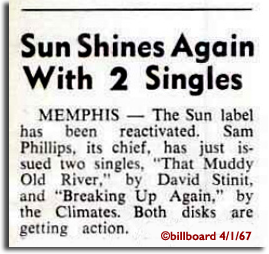 Further research revealed that the LP was actually released that April, months before the July session at Sam Phillips... hmmm. *More excerpts from this 1991 interview will appear in the updated edition of Broven's South To Louisiana: The Music of the Cajun Bayous due soon from Pelican Books. Every once in a while the forces of the Universe seem to align just right, and pull things together in unforeseen and miraculous ways... this is one of those times. 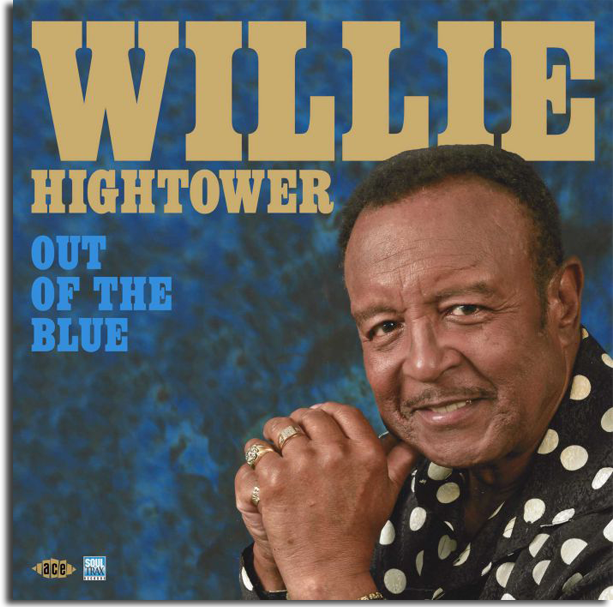 Willie Hightower, one of the truly great Soul Singers of our time, has just released his first album in FIFTY YEARS! 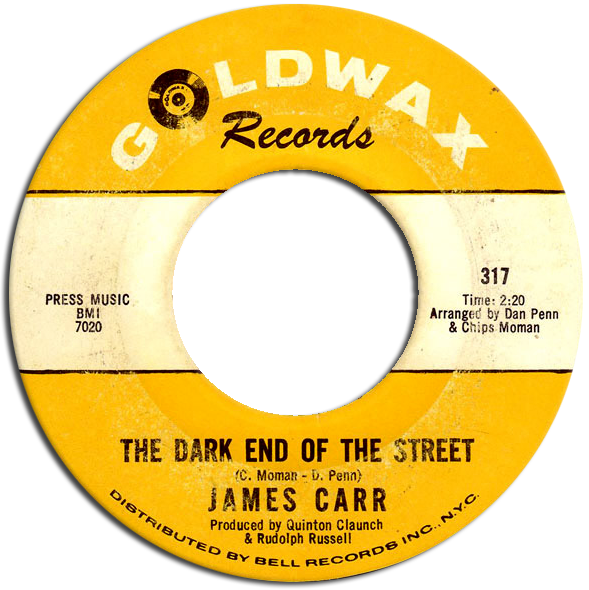 As good as anything he's ever done, it was recorded in Muscle Shoals, and produced by none other than Quinton Claunch, the legendary Goldwax impresario who gave us The Dark End Of The Street. That in itself is remarkable enough, but the fact that Willie is now 77 years old and Quinton turns NINETY SEVEN in December makes this event truly extraordinary. Like most people, I didn't know much about Willie beyond his amazing Fame singles, but as I began to do research for the interview, I discovered that he had recorded at Royal Studio in Memphis (the very studio that Quinton Claunch and his partners founded in 1957) in 1982, with Quinton handling the production. Although not released at the time, the album finally saw the light of day on a Japanese CD in 2007. 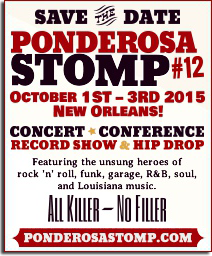 I called Claunch to ask him about the sessions, and told him about Willie's upcoming Stomp performance. "Let me know how he sounds," he said. Well, as anyone who was there that night can tell you, Willie Hightower gave one of the most solid and soulful performances I have ever witnessed, and proved to the world he had lost absolutely nothing off his incredible voice. He was back! I reported all this to Quinton, as requested, and went on to send him a video of the show to prove my point. 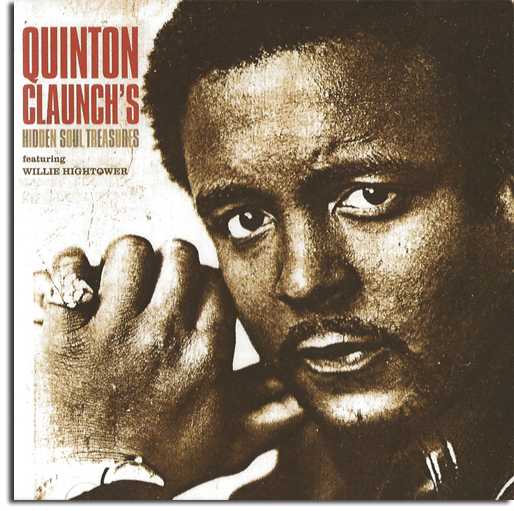 I didn't know it at the time, but Billy Lawson, the Muscle Shoals studio owner and engineer who had worked with Quinton on the Alonzo Pennington CD had asked him "Don't you know of any old school Soul singers we could cut - that's what you do best!" There's those forces of The Universe now, folks... Quinton had his man! Lawson had just recently taken over Wishbone, the studio built by Clayton Ivey and Terry Woodford after they left Fame in 1973. 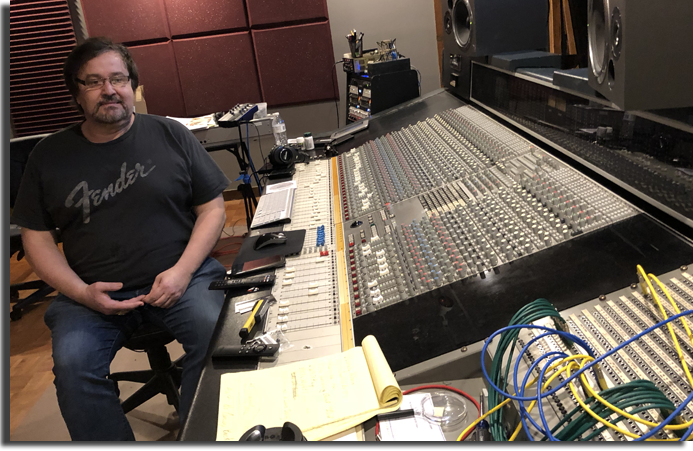 When Larry Rogers' Studio 19 in Nashville (formerly Scotty Moore's Music City) faced the wrecking ball, Billy bought the console and just about went insane re-wiring and installing it at Wishbone. "I'll never do that again!" he told me when we visited the studio last month. With the equipment finally where he wanted it, Billy brought in studio veterans like the aforementioned Clayton Ivey, Travis Wammack and Will McFarlane, and proceeded to cut a record that is pure Muscle Shoals magic. As the tracks were completed, Quinton began sending them up to John Broven and I here in New York, and we were just knocked out. This was Real Soul, as good as anything Willie had ever recorded! John in turn played them for Roger Armstrong at Ace in the UK, who jumped at the chance to release this landmark album. Out Of The Blue was officially issued on August 31st, and is now available from Ace in Vinyl LP, CD and MP3 formats. You need to own a copy! ...but the forces of The Universe weren't through. Old friend Noah Schaffer got in touch a while back and asked for Willie's number. His buddy Eli Reed wanted to throw a 40th birthday party for him, he said, and was hoping Willie would agree to sing with his band. 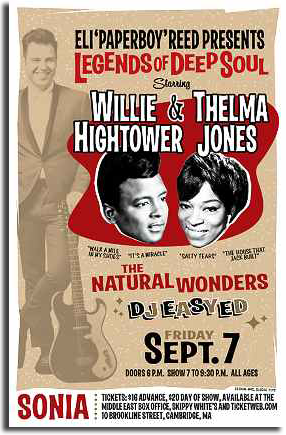 I honestly didn't think they could pull it off but, lo and behold, Willie Hightower performed what may have been his first ever Boston area gig on September 7th at Club Sonia in Cambridge, Massachusetts. Along with Deep Soul songstress Thelma Jones and The Natural Wonders, this show just rocked the house! Peter Guralnick was there, John Broven was there and so was I. I wouldn't have missed it for the world! ...and as you can see, the show was truly amazing! Both Willie and Thelma Jones performances were an absolute revelation, and Eli's smoking band just tore it up! Life is Good! I know we talk a lot around here about places like Memphis and Muscle Shoals, New Orleans, Chicago, Detroit, Philadelphia and Nashville, but somehow it seems I haven't paid enough attention to my own hometown. 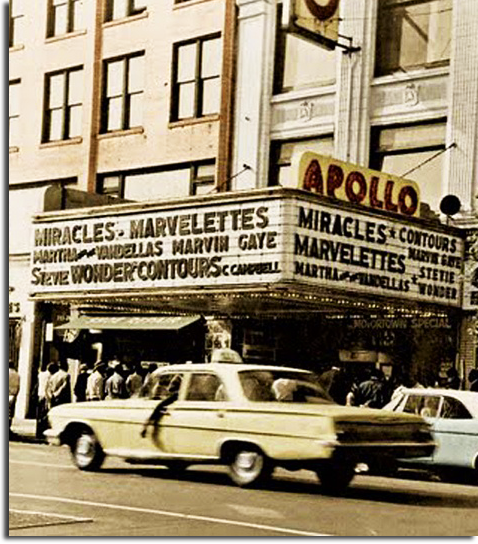 As the site of the premier Black entertainment venue in the world, New York truly had it going on throughout 'The Soul Era'. The Big Town knew few rivals as a recording center in those days as, in addition to Bobby Robinson's Harlem empire, it was home to 'major independents' like Atlantic, Scepter, Big Top, Roulette, Sue, Jubilee and Bell, (to name a few), all of which cut at various 'hole in the wall' studios in and around Manhattan. 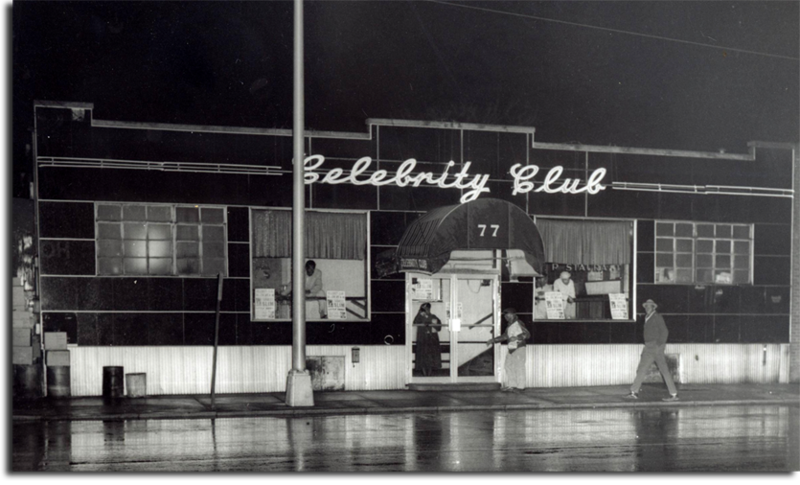 Home to such luminaries as James Brown, Don Covay, Gary U.S. Bonds, Roy C and Freddie Scott, Long Island enjoyed a thriving Soul scene all its own, with night clubs and lounges that featured live music springing up wherever there was a sizable Black community. 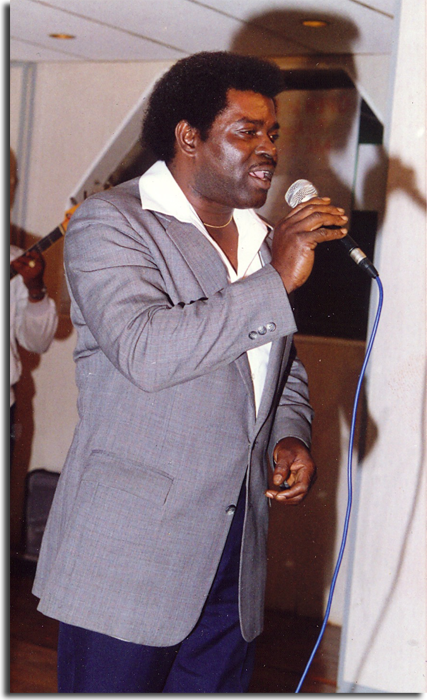 Calling themselves 'The Showcase of Talent', the Celebrity Club on Sunrise Highway in Freeport was one of the most celebrated of those clubs, and when they brought in Leo Price to put together their 'house band' in the early sixties, he decided to stick around. As he told Seamus McGarvey in Now Dig This, "I stayed up there... playing around those clubs, and backing up groups. In those days [most] recording artists didn't have their own bands, and the Jimmy Evans Booking Agency - I was his band - he had the acts... we played behind." It was his connection with Evans that made Leo a favorite with Long Island club owners, as he was able to bring in national level acts like Wilson Pickett and The Shirelles to keep the cash registers ringing. Price soon had more work than he could handle, and helped install a young singer named Henry Henderson as the leader of the house band at another popular club named Mister C's in Roosevelt. 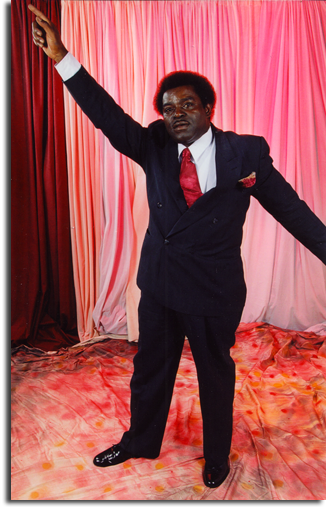 Henderson had grown up in Jackson, Mississippi, and by the time he was a teenager he was fronting his own group that was represented by Tommy Couch's Malaco Attractions. After cutting a few sides for them that were never released, Henry took off for the bright lights, and wound up here on Long island in 1964. 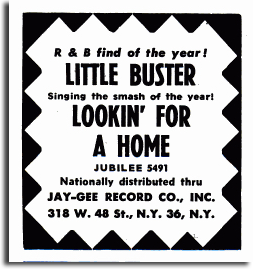 This was right around the time that Little Buster's phenomenal Lookin' For A Home was garnering some airplay on local radio. Henry met Buster shortly after that when he was performing at Brownie's Lounge in Lakeview and the two transplanted Southerners hit it off, following each other around the Long Island club circuit from The Freeport Yacht Club and The Steer Inn to Club 91 and The Bluebird Cafe way out in the sticks. In a scenario truly remiscent of Animal House, in the late sixties notorious bar owner Robert Matherson hired Little Buster to play for his all-white clientele every Sunday at The Oak Beach Inn. When Buster wasn't available, Henry took his place and, between the two of them, they introduced an entire generation of essentially clueless caucasians to the Real Soul music that was happening all around them. 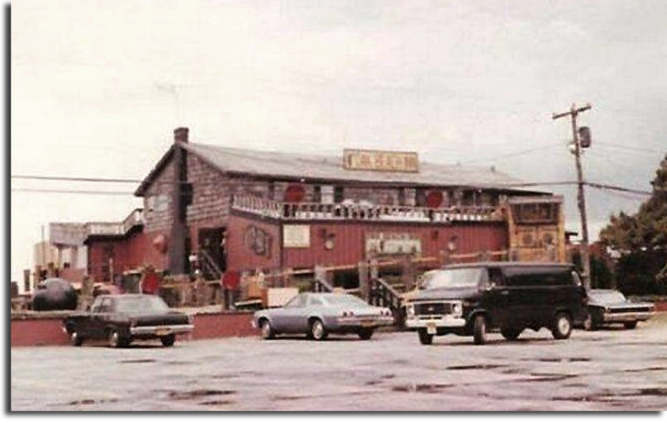 As the sixties gave way to the seventies, The Highway Inn in Uniondale eclipsed the Celebrity Club as ground zero for Long Island Soul, with Leo Price's band once again providing the back-up. 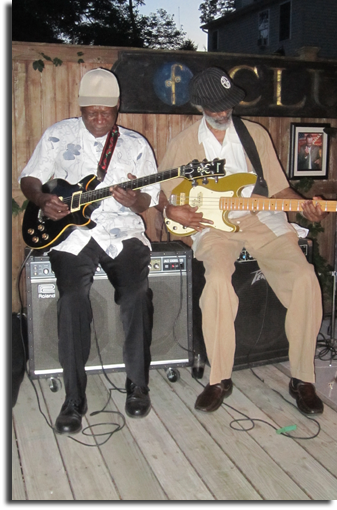 When Leo decided to move on, he called on Henry to take his place as leader of the house band, backing up everyone from Big Mama Thornton to The Ohio Players. 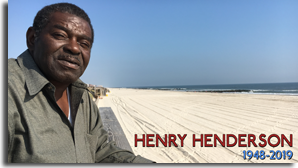 In the early seventies, Henry got together with producer Clyde Wilson and cut a single for a Long Island label named Interstate 95. As Henry recalls it, the studio was located in the Chrysler Building in Manhattan, and they were all set to release the 45 when the label owner, Daniel Yudow, died suddenly, and that was the end of that. Sir Shambling calls the L.L. 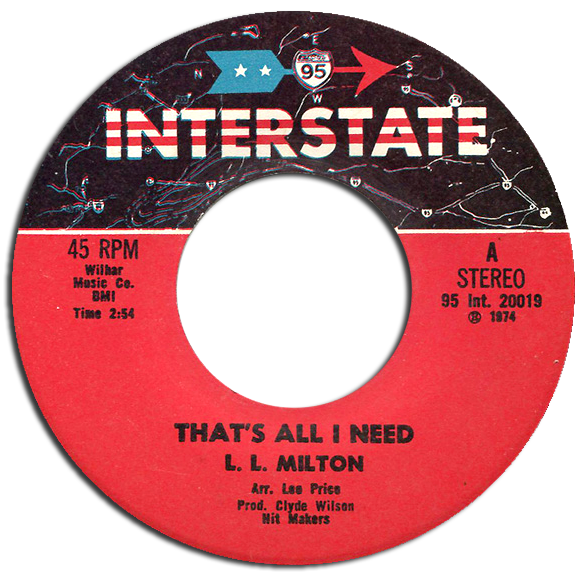 Milton release that Clyde Wilson produced for the label "a real throwback to the 60s," and that's just what Long Island Soul has remained all these years. 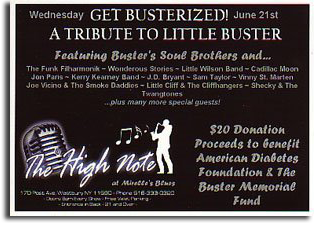 As you may know, I was a huge fan of Little Buster and, as I've said before, I'd seen him perform "more times than anyone else, ever." When Buster passed on in May 0f 2006, I was devastated. 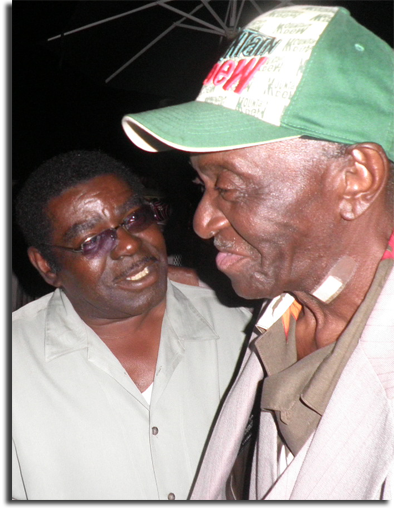 It was at a tribute to Buster held that June that I first met Henry Henderson. Once I heard him sing, I knew he was the real deal. We would become good friends, and his stories about the scene in those days have never failed to fascinate and enlighten me. When Sir Lattimore Brown was diagnosed with cancer in 2010, we flew him up here to New York for treatment, and began arranging what we thought might be his final performance. I asked Henry if he would be willing to get The Honey Holders back together to back him up, and he jumped at the chance. Once the two Mississippi natives got together, they were thick as thieves, and I knew that Real Soul was in the house. As anybody who was there that night can tell you, it was a performance we won't soon forget. 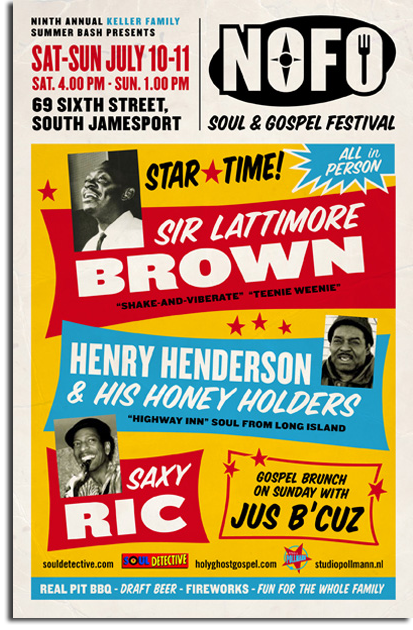 After Lattimore tragically passed in 2011, both Henry and I decided to keep his memory alive by bringing back his Honey Holders every year to what has come to be known as the CLUB 91 SIR LATTIMORE BROWN MEMORIAL NOFO SOUL BASH. Although the personnel may vary from year to year, Henry has never failed to deliver the genuine article. 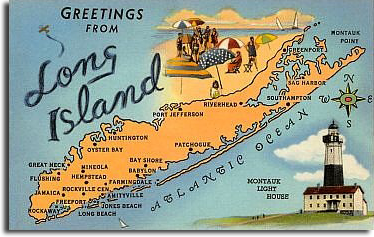 Featuring veterans like Saxy Ric, guitarist Sam MacArthur (who was a member of Leo Price's Celebrity Club band), bass player Fred Thomas (of The JB's), sax man Bobby Gaither (who played on Joe Haywood's Warm and Tender Love), drummer Joe Mannino, bass player Douglas Jackson, and many more, The Honey Holders were the place where Long Island Soul lives!